Payara® Server: Robust. Reliable. Supported. You need the right Java application server to develop and deploy applications that enable you to stay one step ahead of your competitors. Changing business demands require a flexible Java middleware platform that supports continuous development, reliability, and secure deployments of Java™ Enterprise Edition (Java EE) applications in any environment: on premise, in the cloud or hybrid. Payara Server is a fully supported, developer-friendly, open source application server. Payara Server’s architecture is innovative, cloud-native and optimized for production deployments. The application server is built and supported by a team of DevOps engineers dedicated to the continued development and maintenance of the open source software and committed to optimizing Payara Server as the best option for production Java EE applications. 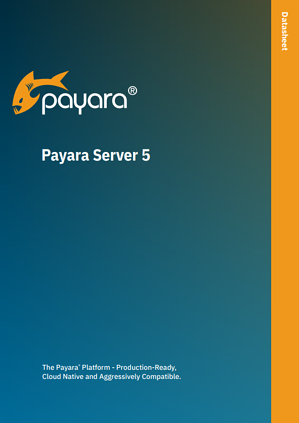 Download the Data Sheet to learn more about Payara Server 5.